"My husband and I have had the pleasure of working with Kasha on two separate occasions. I had never owned a dog and therefore, we were very selective in what we were looking for. Our original Frenchie is absolutely perfect in every way possible! About a year after we adopted her, we started talking about adopting a second Frenchie. Once, Kasha sent us the photos, we could not resist! We are thrilled with our decision and love our second fur baby equally as much! Both of them are amazing and we love them to death! The entire process was very smooth and we received updates as well as photos of our fur babies as they were developing, which put us at ease and allowed us to watch them grow! 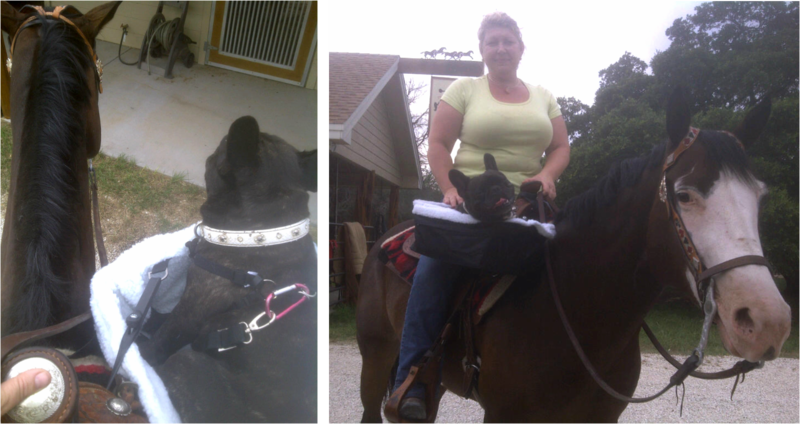 Kasha takes very good care of the puppies and is very knowledgeable." The grass is always greener on the other side of the door! In our opinion, French Bulldogs are the best dogs you can have. A big dog persona in a convenient travel size package, an expressive, adoring face and unwavering loyalty-unless someone with a sandwich walks by. Truly they deserve to be spoiled because French Bulldogs will steal your heart and you're literally helpless to not give into their demands. It's no wonder that their popularity continues to grow. However, French Bulldogs are not for everyone. If you demand obedience, consider a Laborador or Border Collie. Frenchies, like most "bull breeds", can be stubborn. It takes a bit more patience, understanding and open-mindedness to train any Bulldog. They're smart, tenacious and perceive things their own way, but the effort is well worth it-and really, it's part of their charm. As every French Bulldog owner will tell you: "Once you're owned by a Frenchie, you're hooked for life." We're not breeders, per se-we're fanciers. We don't breed often, but when we do we're proud to offer quality, well-bred puppies that strive to meet ideal breed standards. We only offer puppies to discerning homes looking for a ﻿loving companion﻿, we do not offer puppies for breeding, to brokers, or for resale. If you're looking for a lifelong companion, from a breeder who LOVES their dogs and raises them in a home with daily love and attention, then contact us and we'll gladly send you an application. In our opinion, Frenchies aren't expensive - they are priceless! Be warned, they are a lot like potato chips, it's REALLY hard to have just one. "Vlad" hated to stay behind, so I found a way he could come along for the ride! Looking for a Frenchie you can rescue? Click here (or the icon above) and visit Dog Ranch Rescue near Dallas, TX. Their organization focuses on rescuing French Bulldogs (along with a few other breeds) out of Puppy Mill or other unfortunate situations. LEFT: Galileo & Mischa trying to occupy the same bed. RIGHT: The French Bobsled Team (Shiner, Vlad, Luna), practicing in front of the outdoor fire!